For the longest time, I was looking to buy a small acoustic amp to plug my acoustic guitar into but has never pulled the trigger on it because I simply could not justify the cost then, plus the fact that I rarely play acoustic gigs placed the whole thing in the backburner. But recently I acquired an Anuenue Lani III Tenor ukulele with built-in passive pickups and the wish to have an acoustic amplifier came back. I wanted one that was not just guitar specific but something that will be able to handle multiple acoustic instruments. So I made some research and discovered that technology has advanced so much since the last time I checked on the subject that now, I have a myriad of choices. I do not need a big amp nor do I want a practice amp. 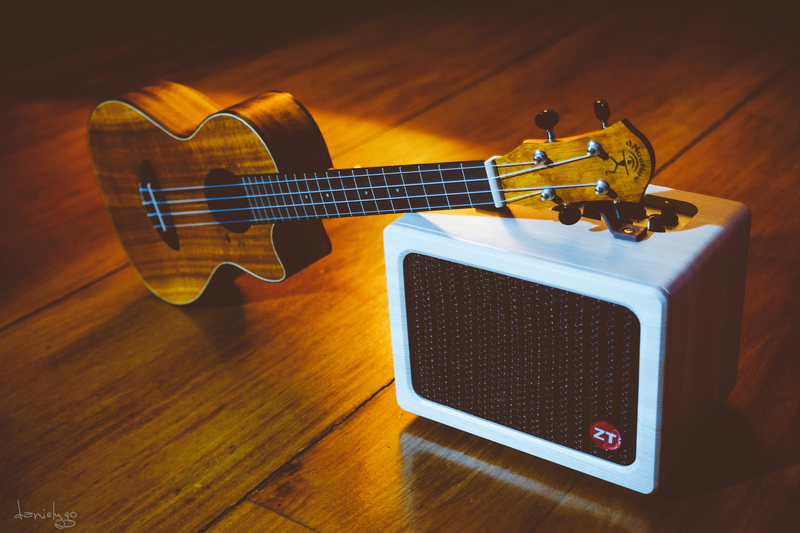 I want something small and portable, something I can use as a practice amp and yet be able to gig with should the need arise. I also wanted something that will faithfully reproduce the sound and tone of my 12-year-old Taylor 710CE and my Anuenue ukulele. My needs were simple and limited. I only play either at home or in church with the worship band. Knowing my specific needs helped guide me in my research. Google and YouTube were also invaluable during my research. I initially got a 2nd hand Epiphone 15C acoustic amp because it was really dirt cheap. 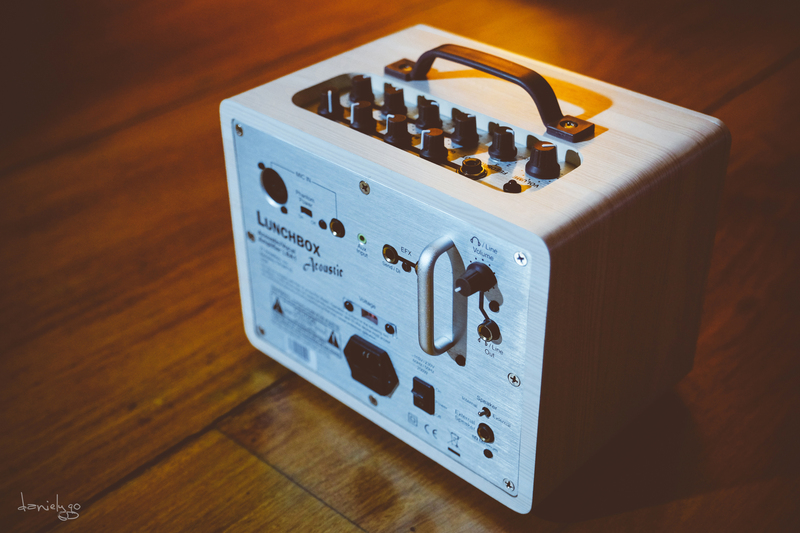 It’s a small 2 channel amp with built-in XLR input for microphones and a dedicated instrument input. 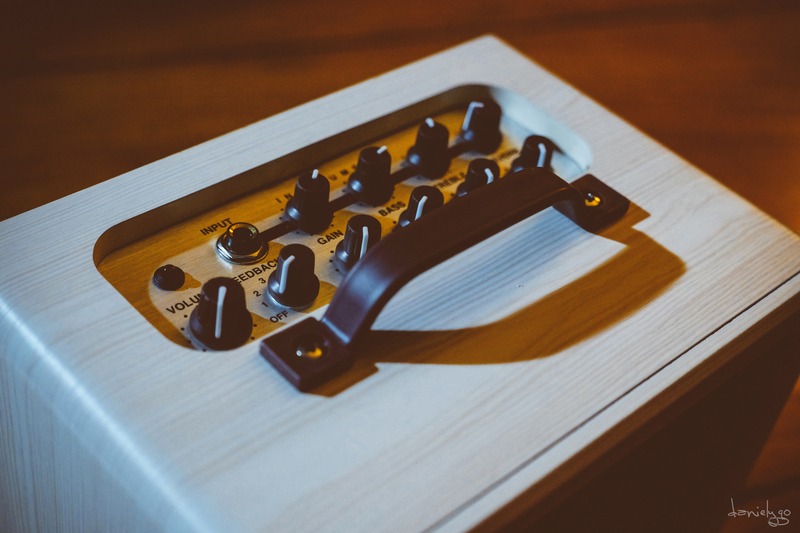 It also has a built-in chorus which you can switch on to add some sparkle and lushness to the guitar sound. It’s pretty loud for its size but I find the tone too guitar (steel string) specific that when I plug-in my ukulele it sounded a bit harsh and unnatural. The Roland AC-33 is a busker’s dream amp. It has twin speakers, 2 channels – XLR/Mic input and a dedicated instrument input, that awesome Roland chorus effect built-in and best of all, it can run on battery power. I seriously considered this amp but at the end decided against it because it was a guitar specific amplifier so the tones there were tweaked specifically for the guitar, but man! It sounded really good. Maybe in the future, I will re-visit this amp! The next amp I was considering was the Yamaha THR5A – It’s a tiny desktop amp with all these modeling effects built-in. It also was capable of running on battery power. But again, it was designed with the guitar in mind and to my untrained ear, the output sounded a little too processed. Among the 3 amplifiers I was considering, the Yamaha THR5A was the only one not designed for performing but rather it was designed as a home/practice/direct recording amplifier. So I ultimately crossed it off my list. 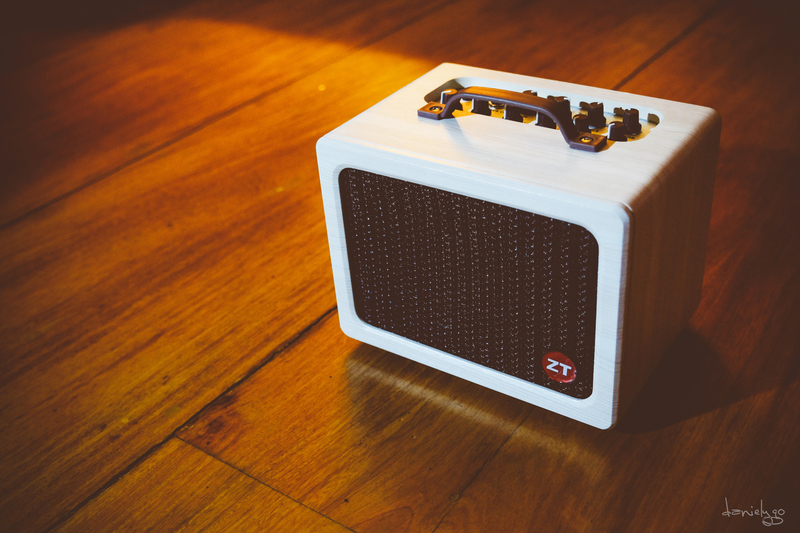 Last but not the least is the ZT Lunchbox Acoustic Amplifier. To be honest, this was the very 1st time I’ve ever heard of the ZT brand. At first I dismissed it as some no name Chinese knock-off brand but upon further research, I found out that it was actually an US brand whose founder, Ken Kantor, is one of the who’s who in modern acoustic technology. His innovations helped shaped modern loudspeaker technology. Among the 3 amps I was considering, only the ZT Lunchbox Acoustic wasn’t battery capable and wasn’t guitar specific. 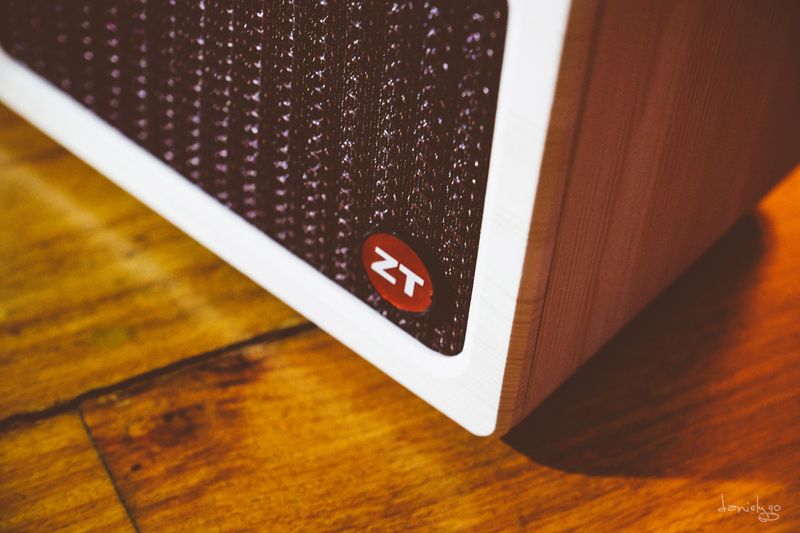 The ZT Lunchbox Acoustic Amp, as the name implies is a small lunchbox shaped closed backed amp with a 6.5″ speaker housed in a handsome bleached wood housing. The whole shebang weighs only 12lbs! Like the Roland AC33, it has 2 channels, one for XLR/Mic 1/4″ input with phantom power option for condenser mics and an instrument specific 1/4″ plug input. Both channels have independent controls for gain, treble, bass and plate reverb. 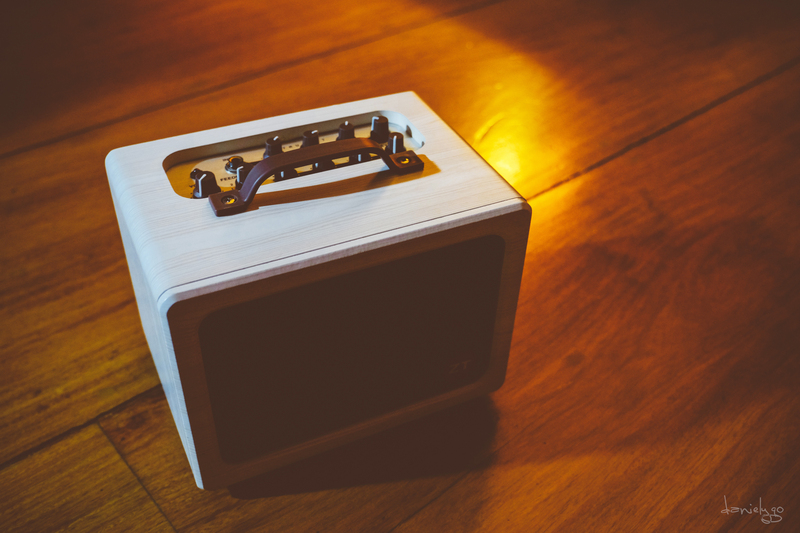 It has a headphone out which doubles as the DI, an effects loop, a 1/8″ input for you to plug in your mp3 devices so you can jam with your backing tracks and an external speaker output option. It is rated at 200 watts but it is misleading as it not as loud as one expects from a 200 watt amplifier. It is really a low gain amp with a big headroom to reduce distortion. You really need to set the gain and volume high if you want to gig with it.